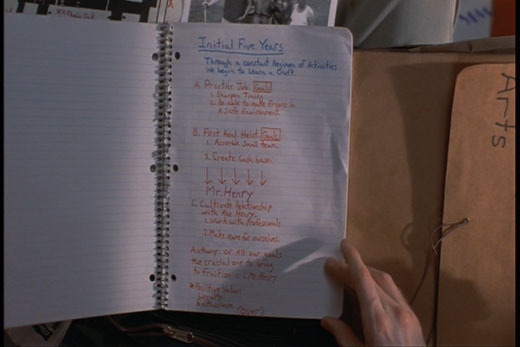 There is a telling moment early in Bottle Rocket (1996), Wes Anderson’s feature-length directorial debut. Dignan (Owen Wilson) has just helped his friend Anthony (Luke Wilson) “break out” of a voluntary psychiatric facility and they are riding the bus back home. As they go over their plans for the future, Anthony jokingly asks Dignan how he feels about his first visit to the “nut house.” Dignan, obviously unsettled, replies: “Hey . . . be sensitive to the fact that other people are not comfortable talking about emotional disturbances.” Depending on one’s definition of “disturbances,” this line describes nearly every protagonist in nearly every film that Wes Anderson has directed. The characters who populate Anderson’s world go to frequently elaborate lengths to avoid emotional confrontation. When they are forced to “talk about” their feelings, they often do so via intricately constructed and highly childish methods of distraction and distancing. Think of Max (Jason Schwartzman) and Herman’s (Bill Murray) confrontation over Rosemary (Olivia Williams) in Rushmore or the three Whitman brothers (Adrien Brody, Schwartzman, O. Wilson) avoiding their father’s funeral in Darjeeling Limited, or Royal’s (Gene Hackman) elaborate ruse of impending death, which he fabricates simply for a chance to spend a bit of time with his family. The payoff comes when circumstances finally push these characters beyond their ability to avoid. Sometimes the moment is deliberately small – Steve Zissou (Bill Murray) wondering if the shark remembers him (The Life Aquatic with Steve Zissou). Other times it is more recognizable in its intentions, as when Royal gives Chas (Ben Stiller) the Dalmatian in The Royal Tenenbaums. Regardless of magnitude, however, it seems safe to say that Anderson’s films are often constructed to lead up to these moments. For some viewers, this can make them insufferable. They are so mannered in their emotional suppression, so dependent in their early goings on their luscious visuals, their insistent soundtracks, and their oblique references to other films, that they become infuriating. For others though (myself included, with some caveats), the journey is worth it. Anderson’s distancing techniques are frustrating because his characters are so richly painted that we want them to do better, to feel better. As the films unfold without allowing the characters to grasp at some form of happiness, the tension grows, and it does so within a beautiful world that seems real, but also unreal, skewed, like when you visit a foreign country where the language is the same but something else . . . just isn’t quite right. Then, boom, an epiphany occurs, and some form of real, human, emotional connection takes place. For the viewer who is open to this approach, these connections can become moments of minor catharsis in which the building sadness and frustration dissipate and the hole they leave is filled with hard-earned joy. With Anderson’s newest release, The Grand Budapest Hotel, hitting theaters, it seems like a discussion of just how Anderson’s films pull off this feat might be of interest. Feel free to add to the discussion or disagree in the comments below. Much has been written about the visual style on display in Anderson’s films: a quick online search brings up bucket loads of articles – clinical, fawning, damning – about everything from his costume design to his penchant for having his characters look directly into the camera. Whatever one’s take on Anderson’s films, there can be no doubt that, stylistically, they display a brilliantly mannered flair for design, composition, and color. And while it is his visual style that has been most commented upon, two techniques that reoccur throughout this work are worth examining in relation to the presentation of his characters’ emotional states. The first is the overhead shot. Generally focused on a particular possession or artifact that is key to understanding character motivation, these shots also regularly serve to provide momentum for the plot. In doing so, however, they also become significant aspects of any given character’s efforts at avoiding emotional expression. Take Dignan’s notebook. This is the first item to feature in an overhead shot in Anderson’s films, and it does so early, on the same bus ride mentioned above. Dignan’s notebook lists not only the strategy for his and Anthony’s upcoming heists, but also an overview of their lives together for the next fifty years. It is immersed in these details where Dignan wants to dwell; he’d rather not talk about Anthony’s time “in the nuthouse,” or his own problems in finding work or making friends. But it’s also his attention to detail – and his friends’ deviance from those details – that causes the problems that complicate the plot. Bob’s (Robert Musgrave) understandable desire to head home and help his brother, and Anthony’s deepening relationship with Inez (Lumi Cavazos) are both natural, emotionally-driven instances of adult behavior. They are also emotionally-driven, adult (mostly) responses to pivotal situations in these men’s lives. However, Dignan is ill-equipped to accept either deviation from his plans or, most tellingly, his friends’ emotional attachments to others. It’s only after Dignan gives up on his own plan during the climax’s failed final heist that he’s able to experience his full feelings, not only for his friends but for himself. And although abandoning his plan leads to his arrest, it also brings about his happiness for Bob’s reconciliation with his brother and Anthony’s developing relationship with Inez. These shots occur in every Anderson film and while they can appear light-hearted (Max’s yearbook role) or incredibly serious (Richie Tenenbaum’s bloody wrists), they almost always serve as a kind of totem of emotional immobility for the character who possesses them. They are also often directly related to a second key visual element of Anderson’s style: the slow-motion shot. Again appearing in each of his films, the slow-motion shot frequently serves the opposite purpose of the overhead shot. They come at moments of emotional triumph – sometimes that triumph is only perceived or short-lived, sometimes it might not even be recognizable. What I find really striking about the moments, though, is that on their own they hardly seem worthy (if that’s the right word) of the slow-motion treatment: there’s no action, hardly even any running, and nothing so intricately detailed that it needs slow-motion to call attention to it. But it’s this quality of the shots that endows them with greater emotional resonance. Because we’ve seen these characters suffer, we want to take a few extra seconds to watch them experience that fleeting joy, make it a bit less fleeting. When Max steps out of the elevator during his epic battle with Herman in Rushmore, his slow-motion walk towards the camera while he nonchalantly smashes his chewing gum into the wall makes all his pain over the “loss” of Rosemary disappear, if only for a moment, and even if only superficially. The Whitman brothers shedding their father’s “baggage” as they run for that last train may be a bit too on-the-nose – hell, it’s a heavy dose of obvious – and yet, even knowing that, watching it happen always seems to lift a weight off my chest. And there are few moments in all of Anderson’s filmography that soar with the emotional promise of Suzy and Sam (Kara Hayward and Jared Gilman) clasping hands as they exit the chapel after their “wedding” in Moonrise Kingdom. These moments resonate especially because they so frequently correspond with the overhead shots. Max’s extra-curricular activities (indicated via a combination of overhead and tableau shots early in Rushmore) serve endlessly to distract him, but they also lead to his custody of the bees that he can unleash on Herman. Likewise, the Whitman brothers’ bickering over their dead father’s love and his possessions, exemplified through several overhead shots of his luggage, is finally jettisoned, along with that luggage, as they finally decide to let go of their grief and, along with it, their years of anger with each other. Anderson’s films tend to intensify these moments even further through their use of music. In the early films, particularly Rushmore and The Royal Tennenbaums, this often meant an abundance of classic rock, particularly music of the British Invasion, but also French pop music, occasional orchestral and choral music, and those great David Bowie covers by Seu Jorge that are so integral to The Life Aquatic with Steve Zissou. Anderson falls squarely into a Hollywood tradition dating back at least to the 1960s of using a pop soundtrack to provide a kind of extra-fictional commentary on events of the film world – Martin Scorsese, Hal Ashby, and Quentin Tarantino amongst many others have used music similarly. Anderson’s spin on this practice, however, is an often uncanny ability to use songs that seem counterintuitive in their relation to on-screen events, or that skew just enough from the on-screen to seem misplaced . . . at first. A wonderful example comes at the end of Rushmore, during the final sequence. Max finally gets a moment of honest closeness with Rosemary and, as they prepare to dance, Max complains about the music being not quite right. He asks the dj to change the easy jazz to “something with a little more . . .” and we expect an upbeat number of some sort. But Reuben (the dj) puts on the folky rock “Ooh La La,” by The Faces. It shouldn’t work. Not only is it not a track for dancing, it doesn’t even really seem to be the song the crowd is dancing to onscreen. And the song’s lyrics – describing an older man’s new-found appreciation for some words of wisdom his grandfather once passed along to him – don’t really fit the narrative. Max may have learned something throughout the course of the film, but he’s hardly old enough to be wishing a younger version of himself knew what he knows now. And what Max has learnt throughout the film has come more through experience than any words of wisdom from older mentors like his father or Herman. Yet there is no denying that song’s expression of a weary, hard-earned wisdom fits the film perfectly. And as the tune starts to play, and the film slips (once again) into slow-motion, Max and Rosemary look into each other’s eyes and we can feel their mutual understanding of – mutual respect for – the pain that both of them have overcome. It’s a beautiful moment because the music is not exact, and also because the film has earned it. Mention of Desplat and Mothersbaugh leads me to an aspect of Anderson’s practice that is often overlooked. Anderson is regularly held up as a modern-day auteur, and, certainly in the sense that he’s attempting to make thoughtful, artistic films that display visual wit and convey emotional depth, there can be no doubt that Anderson is a director-as-artist – so rare in today’s Hollywood landscape. But like all great film artists, Anderson is also a collaborator. In fact, his filmmaking practice relies heavily on collaboration – so much so that it seems safe to say that Anderson’s films are the product of multiple authors. This is not a slight against him – the greatest filmmakers of Hollywood history were all particularly excellent collaborators. And when one thinks about the way films are made, this seems simply obvious. Yet, when a filmmaker like Anderson is under discussion (as, admittedly, in much of the preceding bits of this article), it is to him alone that credit is given for whatever shines in his films, with his recurring troupe of actors also singled out for praise. And yet . . . Robert Yeoman has been the cinematographer on every live-action Anderson film. When Anderson was just starting out on Bottle Rocket, Yeoman had already worked with filmmakers like William Friedkin and Gus Van Sant and was already developing his own visual style. Anderson has also collaborated on every script he’s written, regularly returning to the small cadre of co-writers he favors, Owen Wilson, Noah Baumbach, Roman Coppola, and Jason Schwartzman. He’s used four set designers, and of his nine films (including Mr Fox and Hotel Chevalier), six of them have been edited by the same two collaborators. And when it comes to music, it’s not only the scoring work of Desplat and Mothersbaugh that contributes so much to the success of Anderson’s films. Those lovely songs that (love them or hate them) add so much to every Anderson production are generally chosen by Randall Poster, who has worked as music supervisor on every Anderson film since Rushmore. This is a strength of the artistic filmmaker, and it’s one of the major reasons Anderson’s films have become a genre in their own right. Repeat collaboration requires not only trust, not only a spirit of camaraderie, but a shared vision that’s dialogic in nature. Anderson’s dialogues are not only with his contemporaries, but also with his influences. Anderson’s never shy about praising the filmmakers he’s learnt from, often self-deprecatingly admitting to “stealing” from the likes of Stanley Kubrick, Ernst Lubitsch, and Martin Scorsese. To be fair, all great artists “steal,” and there’s no denying that Anderson’s (and company’s) style is all his own, even as it incorporates allusions to the filmmakers he admires. However, it would be difficult to overstate the influence of Hal Ashby on Anderson’s work. 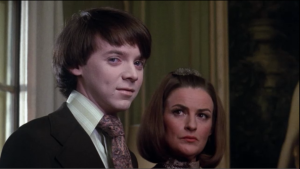 Anderson’s debt to Harold and Maude is often commented upon, with the quirky Ashby film held up as a foundational text for Anderson’s off-beat world. As if to prove its influence, Anderson went so far as to cast Bud Cort, the actor who plaid Harold, in The Life Aquatic with Steve Zissou. And sprinkled throughout Anderson’s work are other sly nods to the film as well, in particular Max’s challenge glare into the camera during a moment of triumph (and also in slow motion), which recalls several similar instances of Harold breaking the fourth wall. However, Ashby’s influence goes beyond narrative or even some sort of quirky tone or vibe to elements of style. I’ve already mentioned the way the use of music in The Royal Tenenbaums resembles Ashby’s Coming Home, but there’s more to it than overabundance. Early in Tenenbaums, as the audience is introduced to the family, The Beatles’ “Hey Jude” plays in ironic fashion as their troubles and failures are expounded upon by narrator Alec Baldwin (it’s a cover version of the song, reportedly Anderson and Poster wanted the original, but had difficulty acquiring the rights). As the sequence comes to its sad conclusion (“In fact, virtually all memory of the brilliance of the young Tenenbaums had been erased by two decades of betrayal, failure, and disaster”), the music, which has been quiet throughout, suddenly swells as it hits the famous “nah nah nah” section. It’s a moment of uncomfortable irony – a song famous for its positive message, and well-known for the uplift of its sing-along finale, is used as the soundtrack for a family’s descent into “betrayal, failure, and disaster.” It’s a brilliant moment in the film, and one that bears uncanny resemblance to a scene in Coming Home. Early in that film, as Bruce Dern’s Bob prepares to head off to the Vietnam war, “Hey Jude,” plays quietly, at parts, as in Rushmore, almost undetectably. The use of the song is similarly ironic in the contrast between its positivity and the scenes of men preparing to go off to war. And just as Anderson would 25 years later, Ashby has the song swell in volume at the precise moment the “nah nah nahs” arrive, just as Bob is joining hundreds of other young soldiers and officers getting on the busses that will take them to war. Anderson also combines music with editing in a fashion reminiscent of Ashby, particularly in the way he allows music to repeatedly cross over the line between diegetic and extra-diegetic (becoming, in essence, trans-diegetic music). In other words, the same piece of music is used as both in-film music (we see, for example, an album on a record player) as well as out-of-film score (the music continues playing, even as time and location change). While the settings of Moonrise Kingdom and Being There are worlds and times apart, they both open in a very similar manner stylistically. Music plays, and each film makes it very clear to the audience that this occurs in the world of the film (with a record player in Moonrise Kingdom, a televised symphony in Being There). In both cases it’s a piece of previously recorded classical music, rare for the two filmmakers, and in both cases the music quickly jumps the line between diegetic and extra-diegetic. In doing so, both of these musical instances work with the editing to announce each film’s willingness to play with concepts of linear time (which Moonrise Kingdom does especially well), but also to let the audience know early and subtly that everything is not as it appears. These are just a few of the many ways that Ashby’s spirit meanders through Anderson’s world. Despite Anderson’s many borrowings from Ashby, the work of the two men is as different in some ways as it is similar in others. Ashby’s films are highly political and wear their liberal heart on their sleeves. While some of his films exist in the same upper-class milieu as most of Anderson’s, they just as often depict the lives of the working class – and when they do concern the rich, they often do so mockingly rather than with the sympathy that Anderson extends them. And while, like Anderson’s, Ashby’s protagonists tend to be white men, he draws women and people of color much more richly and much more sympathetically than almost any Anderson film. But perhaps the biggest difference is that Ashby’s characters are often highly aware of their flaws and certainly aware of the flaws of the worlds they inhabit. As a result, they are often searching for something different, a different way of life or a different way of connecting with people. Whatever their journey, however, they almost always want to express themselves emotionally to those they meet along the way – at least those they trust. Anderson’s characters, as I’ve mentioned, flee from such connections. One result of this is that several of Anderson’s films concern emotionally-stunted adults who behave in increasingly childlike fashion. I would include in this group Dignan, the entirety of the Tennenbaum family (with the possible exception of Anjelica Houston’s Etheline), Steve Zissou, and the Whitman brothers. Rushmore’s Max is incredibly childish (as is Herman), but he’s also still only fifteen years old, so his behavior, while somewhat outlandish, seems to fit his character. However, as the early films become the middle films, this attentiveness to the obstinate immaturity of his grown-up protagonists does take on a familiarity that can feel stifling. I’ll admit to being a big fan of both The Life Aquatic with Steve Zissou and The Darjeeling Limited. However, I also understand when a critic like Anthony Lane describes The Life Aquatic as “frozen in mannerism,” or when Nick Schager describes Darjeeling as an example of how Anderson’s quirks have become limitations. Luckily, however, Anderson pressed on to make two of his strongest films, and it’s no coincidence that both eschew the man-child protagonist. Yes, Mr. Fox (George Clooney) is spontaneous, yes he can also avoid emotional confrontations (most specifically with his son, Ash (Schwarzman)), but he’s a full-grown adult who has long accepted his responsibilities. Perhaps he’s going through a mid-life crisis, but he’s doing so with bravado and verve and he’s not running away from his feelings in the midst of it. Plus, like the equally fantastic Mrs. Fox, Felicity (Meryl Streep), he’s a wild animal! Even further away from the stunted adult world of his earlier films is Moonrise Kingdom. Yes, the adults still act in childish ways, but the adults are not the protagonists, Sam and Suzy are. And how wonderful is it to watch them in the efforts to forge lives of feelings, to get away from the emotional limitations of their parents and foster parents. And, in so doing, to inspire the adults around them. 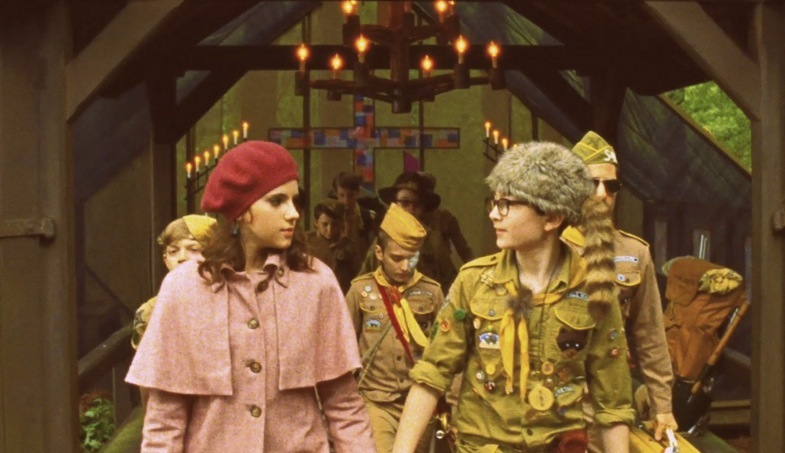 It’s no coincidence that, unlike in most Anderson films, the overhead shots in Moonrise Kingdom focus on items (letters, maps) intended to bring Suzy and Sam together. Unlike Max (and, to be honest, Rushmore and Moonrise Kingdom are probably Anderson’s two best films . . . as of yet), Sam and Suzy are not interested in playing the game on the adult’s level, and so they set about making up their own rules. While Max’s wooing of Rosemary is certainly sweet, and the wounds he suffers as a result of his failure are deep and real, part of his quest for her is a quest for adulthood. Sam and Suzy, on the other hand, look at the adults around them and say, no thanks. But what they’re really saying no thanks to is not adulthood, but rather that type of adulthood so prevalent in Anderson’s world, the one in which adults fear their own emotions. Suzy and Sam want to carve out a new world for themselves, one in which they can be honest, direct, and loving in a way that doesn’t avoid, doesn’t wound, but actually, maybe, heals. And this is what makes it so refreshing as a film. It contains all that is lovely from Wes Anderson and his partners – the wonderful compositions, the clever dialogue delivered with deadpan flair, the overheads, the slow-mo, the music – and yet it’s also a mature departure that abandons its makers’ limitations for something deeper and, in the end, much more revelatory. In a way then, the Anderson (et al.) of Moonrise Kingdom is very like the Dignan of Bottle Rocket, a man who finds that when he abandons the rules – jumps out of the notebook – he can connect with his characters on a level that is not only more emotionally rich but also more satisfying to his audiences as well. One can only hope The Grand Budapest Hotel continues the trend. This entry was posted in Previous work and tagged Aaron Hunter, Hal Ashby, Mark Mothersbaugh, Robert Yeoman, Wes Anderson. Bookmark the permalink.